Despite the recent cooldown in the market, Seattle is now the third-most expensive city in the country to buy a home, behind San Francisco and San Jose. Just four years ago, Seattle was 10th. 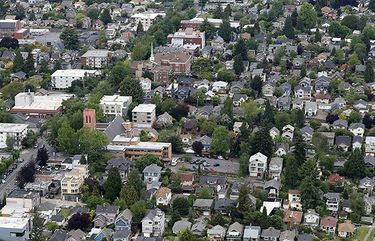 Yes, there has been a shift in the Seattle-area housing market lately: Home prices in Seattle and the Eastside are down tens of thousands of dollars from the spring, the number of homes for sale is way up, and buyer demand is down. Just yesterday, we reported that Seattle was surpassed by Las Vegas as the nation’s hottest housing market for the first time in almost two years, the latest headline illustrating that the market is finally starting to at least somewhat balance out between buyers and sellers. But it’s important to note how small of a dent the shift in the last few months has made after years of skyrocketing home prices. The reality is that Seattle is more expensive than ever, compared to the rest of the country. Over those four years, the Seattle region surpassed the Boston, New York, Washington, D.C. and Stamford, Connecticut metro areas. But metro area prices are sort of meaningless on their own because they represent an average across housing markets that vary by a lot; in our case, home prices in places like Mercer Island and Bellevue are combined with home values in Tacoma and Everett. When you look at cities, the change is even more dramatic. 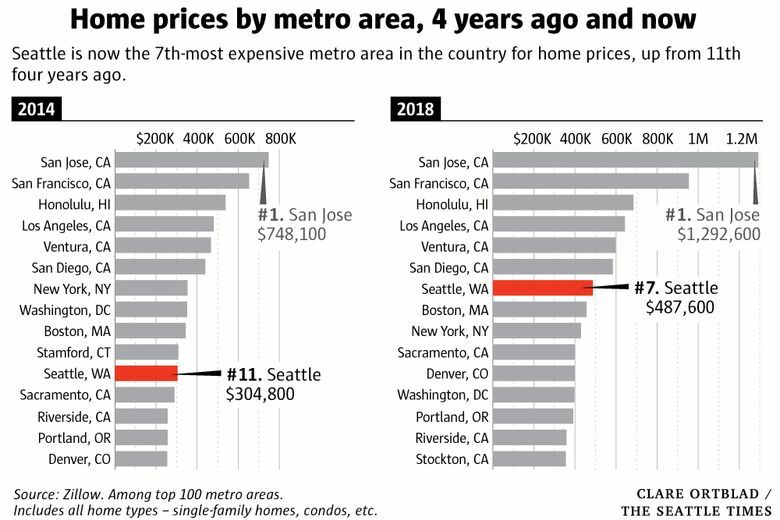 In the last four years, Seattle became more expensive than the cities of Oakland, Honolulu, Los Angeles, San Diego, Anaheim, Long Beach and New York as a whole (although if you divide New York into its boroughs, Manhattan and Brooklyn are still more expensive). Of course, these rankings tend to go up and down. In 2000, when the dot-com boom was in full swing, Seattle was also third, behind San Francisco and San Jose. 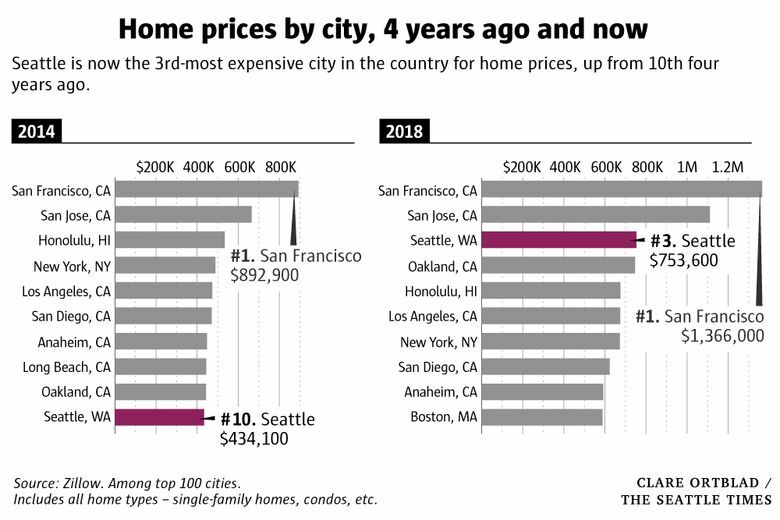 By 2003, when that bubble had burst, Seattle had fallen all the way back down to the 11th-most expensive city. By the time the next housing bubble peaked, in 2007, Seattle was down to 13th. Bottom line: Anyone who sees headlines about the cooldown in the Seattle-area housing market shouldn’t take that as an invitation to move here for cheap homes. Things for homebuyers are getting better but they’re still mostly bad (unless, as always, you’re coming here from the Bay Area).